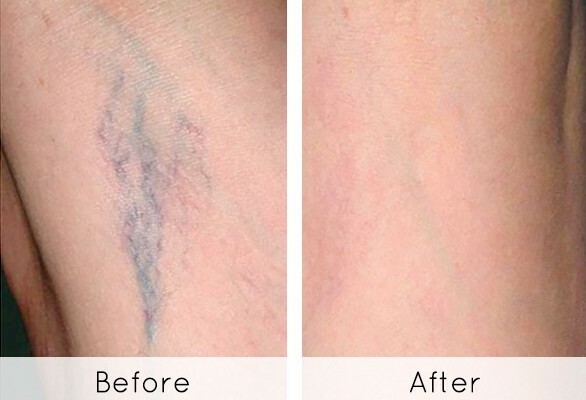 Sclerotherapy involves an injection of a solution directly into the vein. The solution irritates the lining of the blood vessel, causing it to swell and stick together, and the blood to clot. Over time, the vessel turns into scar tissue that fades. It is a proven procedure and has been used since the 1930s. Prior to the procedure, you will have an initial consultation with our on staff doctor who will decide if you’re a good candidate for the procedure. You may experience certain side effects after sclerotherapy such as itching, which can last for one or two days after the procedure. Also, you may experience raised, red areas at the injection site. These should disappear within a few days. Bruising may also occur around the injection site and can last up to several days.